The soft style and modern design of this buffet is sure to bring out the best in your dining area. Behind each door lies two adjustable shelves, perfect for keeping any items you might need for entertaining on hand, but out of sight. The travertine lay on the top completes this piece with an extra touch of style and durability. 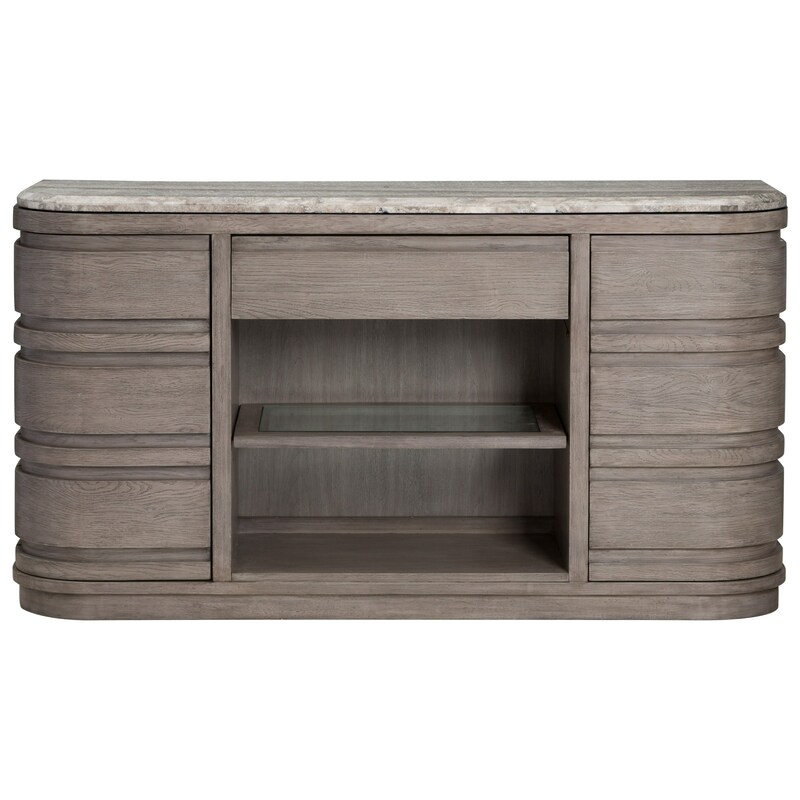 The Pacifica Buffet with Travertine Top by Magnussen Home at Reeds Furniture in the Los Angeles, Thousand Oaks, Simi Valley, Agoura Hills, Woodland Hills, California area. Product availability may vary. Contact us for the most current availability on this product. D4771-14 Buffet 1 64.25" 18.13" 33.5"
Storage Two adjustable shelves behind each door. Center Glass shelf is also adjustable.